Math - We have completed the unit on subtraction with and without regrouping. The students learned how to trade 1 ten for 10 ones to solve problems like 43-27. Students learned that they should only regroup when they need to. Students have been practicing subtraction skills using numbers up to 999. We will begin a focused unit on counting coins and telling time. 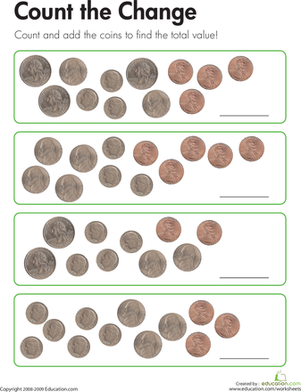 The students will learn how to use the values of coins and bills to find the total value of a group of money. The students will also learn how to read and show times on analog and digital clocks. Students should continue to practice math facts daily to help solve problems accurately as well as quickly. When scientists conduct experiments to learn about the world, they have a certain way they usually write-they use a lab report format. They record what they expect to happen in an experiment, and they record what they actually do in the experiment, then they record how things go and what they learn.